I hope you remember my 40 days trip to South Africa in 2016. What a fabulous itinerary it was! I had brought back fond memories from there and it still happens to be the country where I had some of my biggest wildlife and road adventures. I did blog about many experiences from there but there is lot that still needs to be written. Here is a post on camping in South Africa. South Africa, without a doubt is loaded with stunning camping locations and it can be a bit difficult to know the right campsite to choose for your next holiday. Regardless of whether you have a craving for mountain country so as to fuel your emotions or open landscapes to feed your mind, South Africa surely has a place for you. A camping holiday isn’t about the planning or the equipment; it is about the destination, the journey and the experience. What kind of destination feature do you find intriguing? Is it stunning view, the thrillers of the woods or staggering seascapes or? Do you have a bucket-list you are following, or you need to see a few of the last incredible wilderness areas on the planet? It is all about the various activities for a lot of people – how to keep your children occupied and what you can do to only live in the moment and forget about your everyday worries. However, choosing the best camping site in South Africa is not an easy task, and thus we have assembled a list of the best camp locations in South Africa, to help you to narrow down the countless options. Be it on a river bank, settled in the mountains, or not far from the beach, we have a wonderful campsite awaiting you. 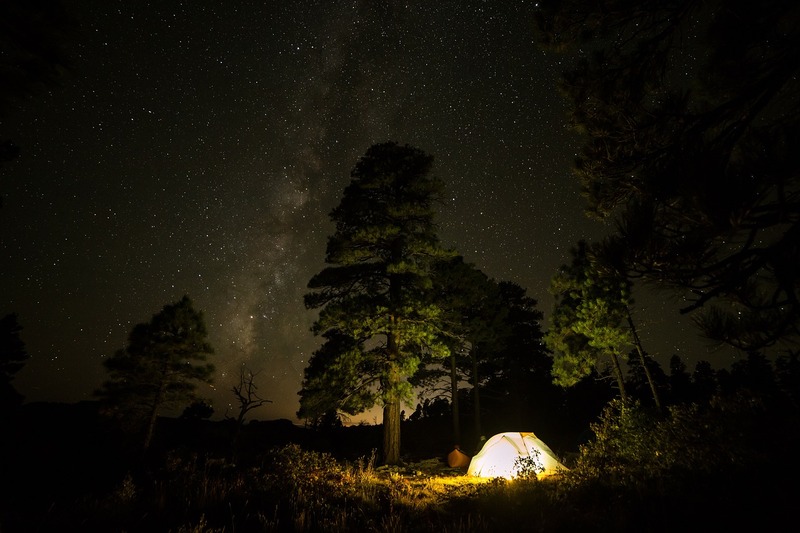 Choose your preferred camping location, and let us know if we have missed any of your favorite campsites in the comment session. Slangkop is the place where extravagance meets nature – you are going to get bedded tents, heated showers and a shared living zone with a kitchen, lounge area and a braai at this excellent campsite. Situated in a local Milkwood forest, close to 100m from the ocean, this tented camp is the ideal place to watch how the sun sinks into the ocean. This is the perfect campsite for you in the event that you are not all that enthusiastic about getting far out of Cape Town– the shops are only 2km away however while you are at camp you will have a feeling of being in the middle of nowhere. In addition, the camp offers a play area for little kids, although campers can spend their days swimming, hiking, surfing, or relaxing on the beach. The Tented camps can house 12 people only per night. In the event that you would like to wake up to the orchestra of crashing tides and the salty smell of sea air, this camping location is certain to fulfil your coastal desires. It is difficult to dismiss the wild magnificence of Namaqua from the tent-spotted rough shore, only south of the Groen River’s mouth, which disregards shimmering white beaches. This campsite is the ideal mix of serenity and rusticity – say goodbye to your phone connection, get ready for some casual ablution, and get your taste of nature walking, picnicking, and hiking before watching the sun set over the sea. Situated in between the Cederbeger and Roggeveld Mountains, in the middle of Karoo veld, the Langkloof campsite is a magnificent campsite that every camper would like. In this stunning campsite, you get a kitchen, braai, bathroom area, car port, paraffin lamps and gas geyser. Ensure you come along with every necessary thing you will need while in Ceres and best arrive in a 4×4 or high-clearance vehicle if it is raining. We also recommend getting a pocket knife sharpener – you never know when you’ll feel like carving some wood! This is the ideal place to relax, read, photography or paint the tranquil scene and enjoy tinged bluffs and stargaze in a place free of the city lights. Not far away you will see the biggest single optical telescope in the southern half of the globe at the Sutherland Observatory. It is a nice idea to set up your tent underneath the parking space for some a shade. As though the natural magnificence of the Wild Coast is not enough, Mtentu lodge is situated over the river from the amazing Mkambati Nature Reserve set with waterfalls, ravines, rugged coastline and forest. Lose all sense of direction in the magnificence of this lodging with horse riding, hiking, cycling, surfing, fishing, paddling or snorkeling. Game enthusiasts can take a look at the Blesbuck, Blue Wildebeest, Eland, Gemsbok, and Red Hartebeest wondering all over the reserve and bird lovers may see a crowned eagle, African fish eagle, or even a Trumpeter Hornbill. Enjoy the peacefulness of a shower powered by solar and comforts like a lounge, kitchen, bona, braii and bar. You will require a high-clearance vehicle to get to the lodge or you can organize an arranged pick-up from 2 km away. Some joys of life can also be counted in the sky! Camping enthusiasts who are independent will truly value camping in one of the four campgrounds at Kwass se Baai marginally inland from the seaside Namaqua National Park. Stars, waves, ostriches and long drops are all you will find here, therefore come completely prepared with food, drinking water and camping shower. Luxuriate in the brightness of the Namaqua Wild blossoms in Spring as you walk along nature trails and ensure you pack clothes for cold and hot weather. I am sure you are pumped up after reading the above. Are you trying to make a decision on where to spend your next camping holiday? We assure you that all the campsites listed above will definitely impress you. Remember to take along some necessary items like hiking socks and we assure you that your camping holiday will be filled with fun. 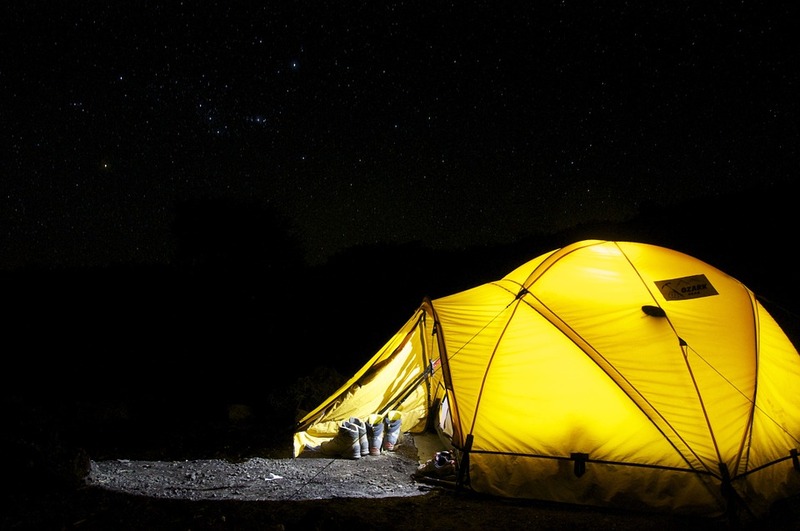 Do you have any suggestion or we missed some of your favourite campsites in South Africa? Let us know in the comments session below. Rebecca lives in USA, but loves hiking all over the world. Her favorite is Everest Base Camp Trek in Nepal. It usually takes 16 days, but she likes to slow down, enjoy mountains, company of other adventurers and take more pictures, so it took her 28. Another of her passion is the ocean, so all short and long hikes along the ocean shore bring a lot of joy. She also writes for HikingMastery.com. The Groen River Campsite, Namaqua National Park is just beautiful. It is like a picture taken out of the book. I would love to visit soon. Will include this on our bucket list.